If you want to return to college and finish your associate’s degree, Grad TX can get you started. There is also money available for students who have barriers preventing from going to college. Simply sign up by completing the Grad TX form below to get started and see if you qualify for emergency grant aid. 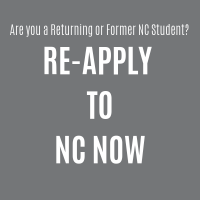 Are you interested in coming back to college? Grad TX is a program designed to help students return to college and finish their associate’s degree. By earning an associate’s degree, you’re increasing the jobs available to you by 134 percent and increasing your annual income potential. Returning to college can come with unique challenges. Balancing family, work, and school can be daunting. Returning to school after a break might seem overwhelming. Many people who want to return to school are unsure how they’d pay for it. And still others worry that if they returned to school they’d have to start all over again. 1. Admission Specialists guiding you through the admissions process and maximize potential credits earned prior to returning. 2. Success Coaches providing academic support such as Advising, Academic Planning, Career Coaching and Resources. 3. Access to emergency grant aid is available. 5. Over 99 online and on-campus degree and certificates to help you finish what you started. Find out more: Majors and Degree Plans. If you want to return to college and finish your associate’s degree, Grad TX can get you started! There is also money available for students who have barriers preventing from going to college. Simply sign up by completing the Grad TX form to the left to get started and see if you qualify for emergency grant aid.